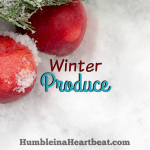 One of the best ways to give our families more variety and nutrition is by eating in season. 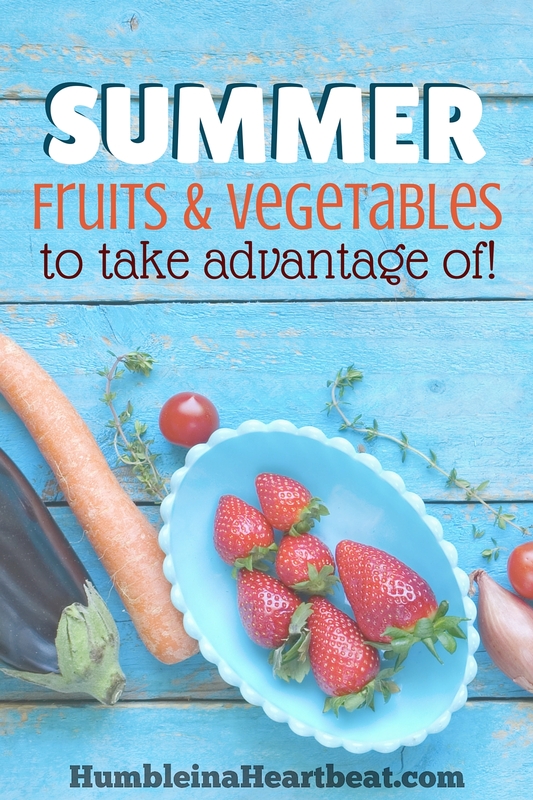 With all the wonderful produce available in the summer, it shouldn’t be too hard, either! Every year I mention to my husband that I would like to go to the Farmer’s Market, but we never make it. I want to make it a priority this year, because I want to start a family tradition of going to the Farmer’s Market at least once a month during the summer, and I truly desire for our family to start eating locally. A few summers ago, we took a drive to my grandma’s to visit. 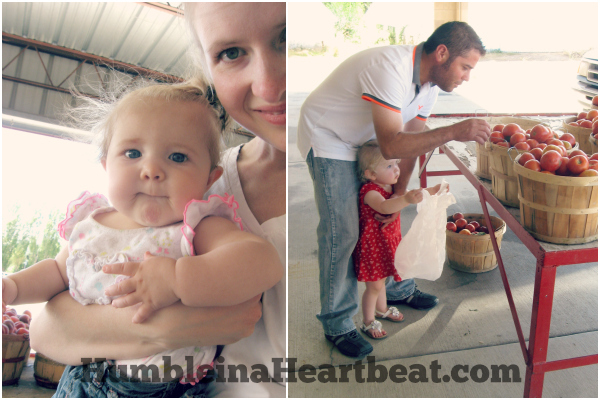 Afterward, we went to a local farm to get a big box of peaches that were huge, juicy, and very ripe. We also stopped at a roadside fruit stand to grab some tomatoes and apples. Then while we were in Washington three years ago, we picked blueberries at a U-pick farm. It was such a fun time even if our toddler has no recollection of that experience. Those are the kinds of family traditions that I want to start. I want my kids to have fun eating fresh, delicious food, and I think going to the source, or at least really close to the source, will be so helpful. While eating in season is often tastier than eating produce that is not in season, it is also more affordable most of the time. Many of the fruits and vegetables on this list of summer produce will be at a much lower price than they were in spring, if they were even available then. So take note of all the produce you want to try this summer and start adding these fresh foods to your meal plans! 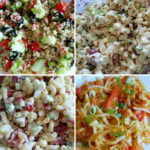 Base your meal plan off what is in season in your area. At the bottom of the post, I will list the websites where I got the information for what is in season in summer. These sites are mainly intended for the United States. 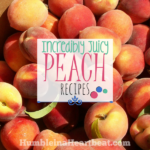 I highly encourage you to check out the first resource because you can search more specifically in your own state and find out what to look for at the Farmer’s Market. 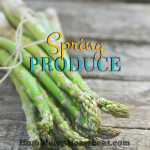 Since I have started writing these seasonal produce posts and being more intentional about eating variety as a family, we have tried so many different fruits and veggies that we may have never considered before. 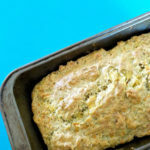 It is a lot of fun to try new recipes with these foods! 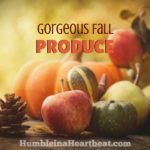 You can find all my posts about eating in season right here.